Sometimes I find myself worrying about what's next in my life, whether it be in my finances, on my job, or with my family. The more I think about the situations around me, the bigger the problems begin to stand out. I find myself challenged to identify even the simplest of solutions sometimes. This tends to make me feel lost, alone, and confused. I remember one particular early September evening. I was walking through the woods down a trail that I had gone down many times in my life. On this particular day however, I noticed that the trail I was on started to break off in multiple directions. I had obviously gone further into the woods then I had gone previously. After a while, I started to find myself confused about which way I came in. I then realized that I was lost, and it was getting darker and colder outside. I started to panic a little while trying to see which way the sun was setting-hoping this would spark a memory of the direction of the cabin. As I started to visualize the location and the surroundings of the cabin in my head, I remembered there was a tree that stood near the entrance of the woods where I began on the trail. This tree was particularly large, standing out taller than all of the other trees. At the top of the tree, the leaves had already begun to turn while the rest of the trees were still green. I began to look up above the tree line to see if I could spot that large tree that I noticed at the beginning of the trail. I finally saw, located high above the tree line, bright red leaves glowing in the setting sunlight. As a relief and sudden peace came over me I realized I had to make my way towards the direction of the large tree before the sun went down, and it was too dark to see. As long as I kept my eyes on the glowing, bright red leaves, I knew I was going in the right direction. I began to reflect on my life and think on how our great, big God always stood out in every situation that I've ever gone through. Even in the times that I felt lost, alone, and even confused, I would always remember that big tree glowing in the woods, guiding me back to the path where I would find safety and comfort. Just like that tree which stood out so much bigger than the forest around me, my God stands out so much bigger than any situation I could ever go through. Have you or a loved one gone through a divorce? 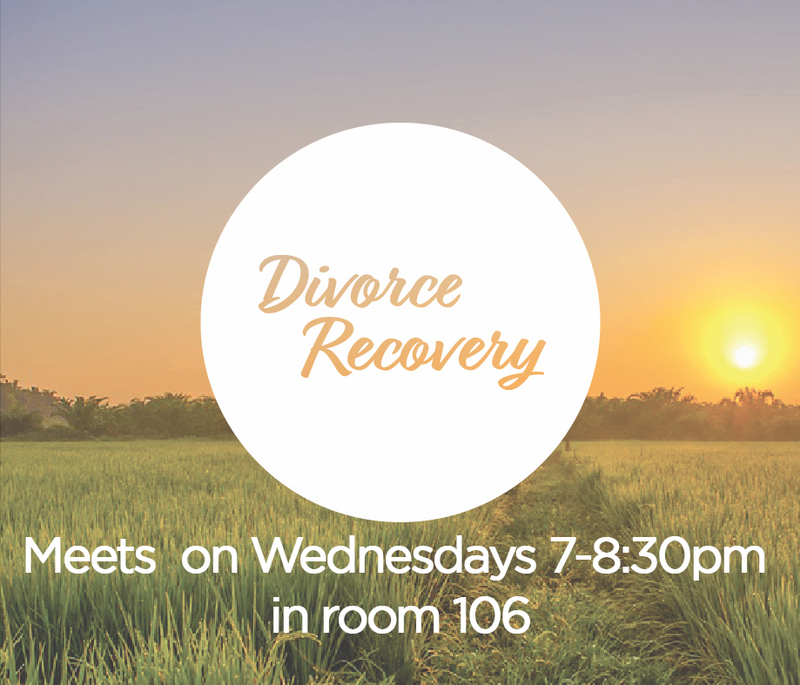 Join us on Wednesdays at 7 pm.